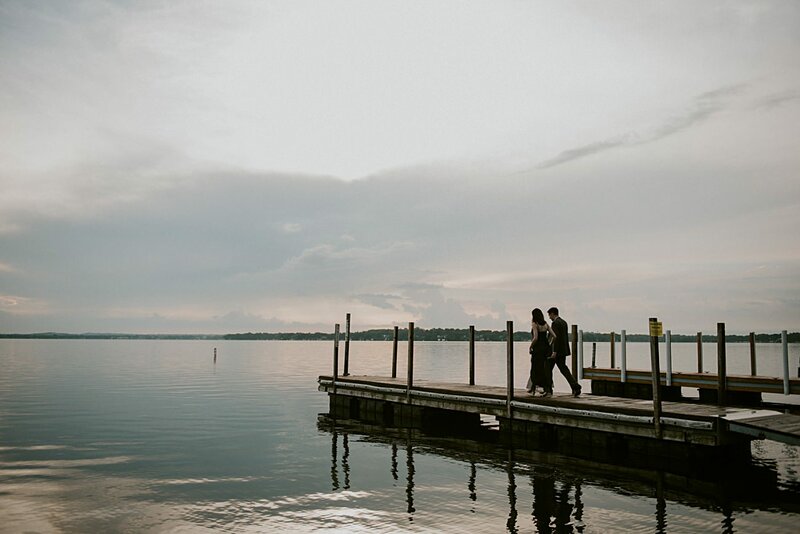 Amelia contacted me for a quick anniversary session while they were in Madison for a weekend. 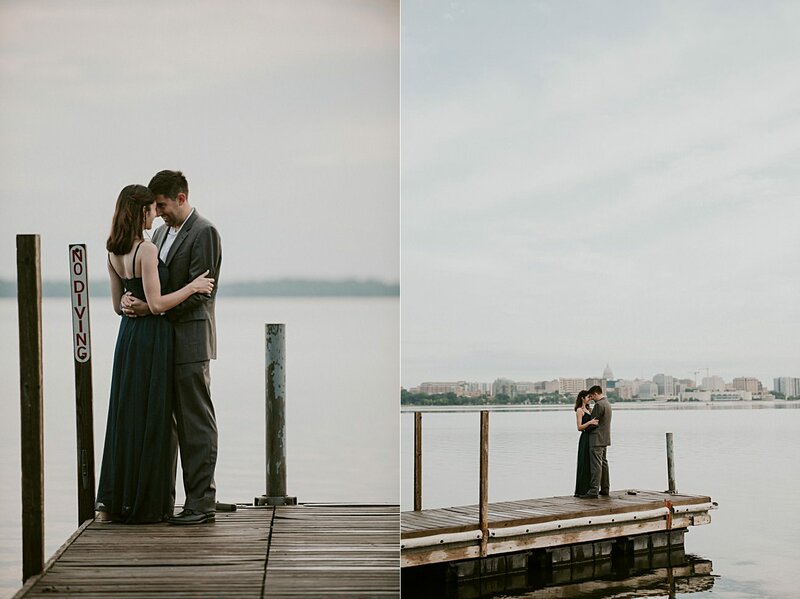 They only had a few hours before they flew back to Washington DC – so we worked out a sunrise session. 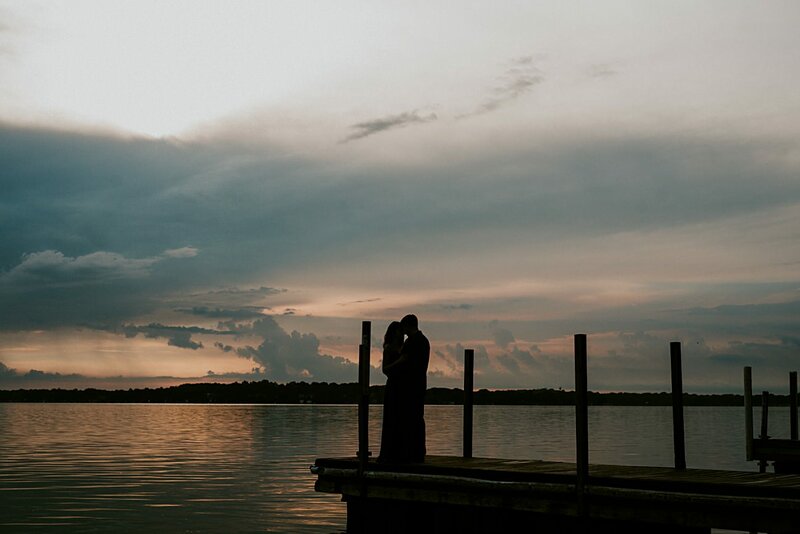 This sunrise anniversary session made me fall in love with sunrise sessions! We were supposed to wake up at 430 am to meet them downtown by 530ish – but due to rain, it was moved to 8 am or so. 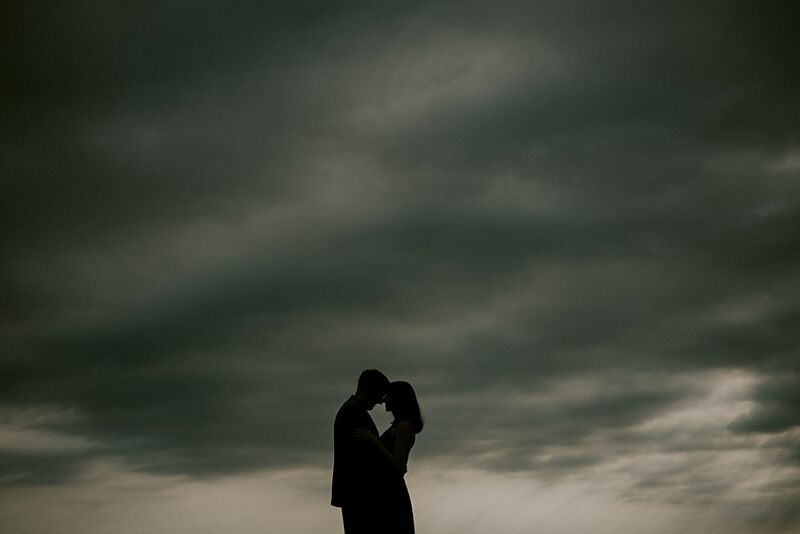 We all go to sleep in a bit, but the storm clouds caused some SUPER moody light that made us all happy! 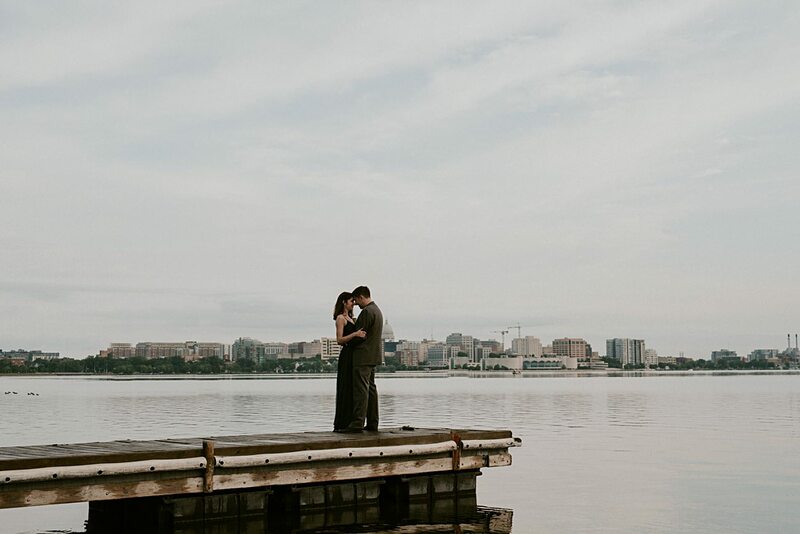 We met these two first at Olin Park because of the placement of the sun and the city backdrop. 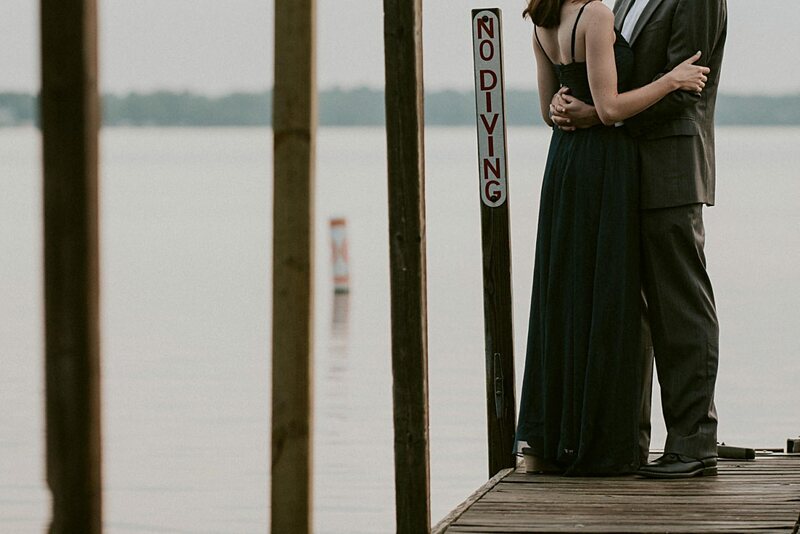 This is one of my favorite parks to shoot at due to the above, plus the water is a plus! 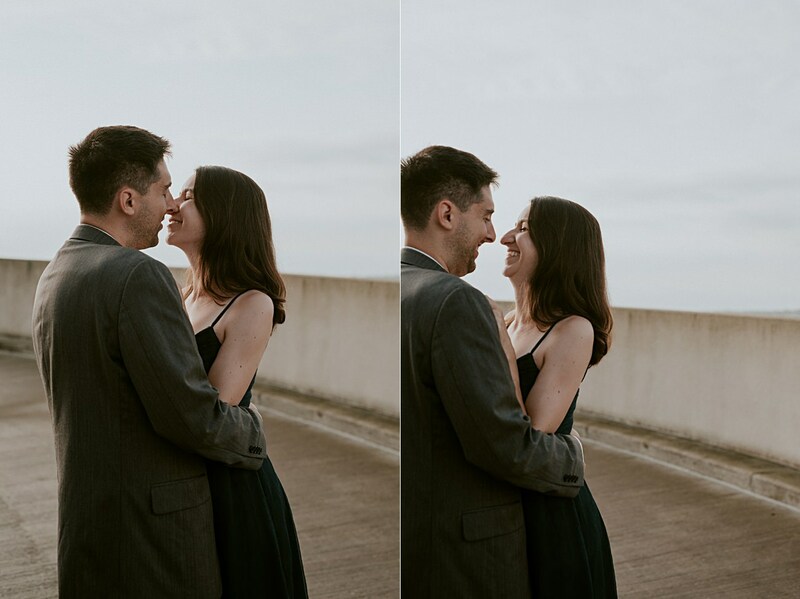 These two were nervous from the start but quickly got comfortable as they fell into each other. 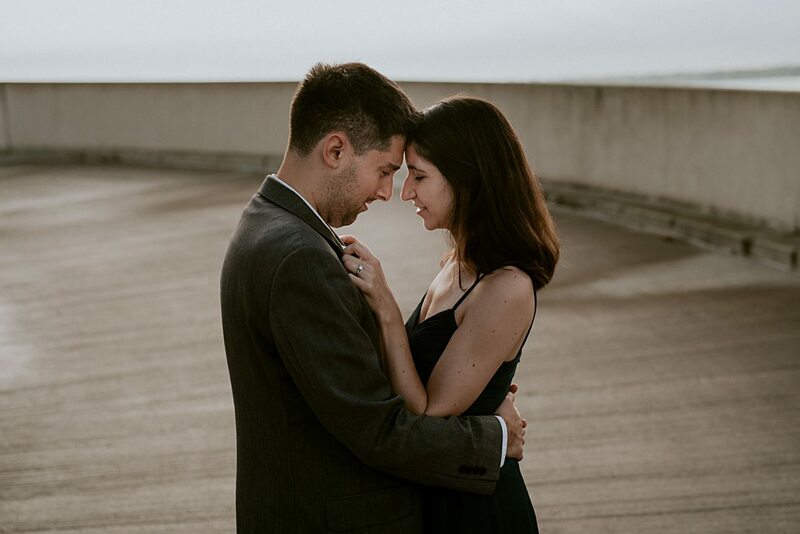 We then went over to the Union Parking Garage where we used the dramatic lighting that flooded the garage. 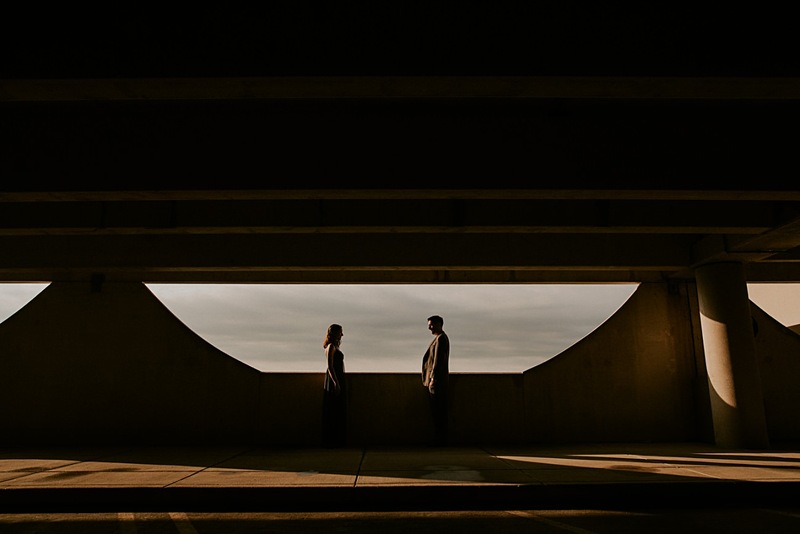 It was awesome to be able to play in some new kind of light and lines with a couple that was up for anything! We kindly ask that you DO NOT download, screenshot or the like to anything on this page! You are more than welcome to share the link when given credit to Natural Intuition Photography. THANK YOU for not stealing our images.